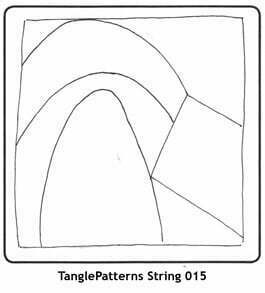 Here’s another String for your creative enjoyment. This one is shared by Texas CZT®, Courtney Frantz. There are so many tangles available that your Zentangles will always be different even using the same string. Or use it with only one tangle – a monotangle. This was an interesting string and I enjoyed revisiting some tangles I haven’t used in quite a while. I may have to go back and do previous strings! 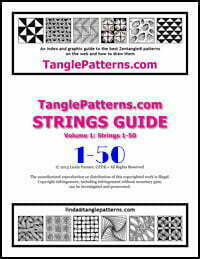 Using a photograph for string inspiration is such a clever idea! Seems like a much easier transition than just looking around the room for inspiration- a photo already has borders so it would be easier to pick out shapes within it. Thanks for the tip! What a great idea. 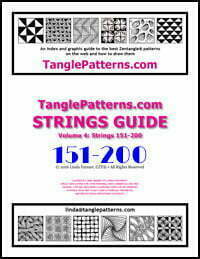 I’m going to have to look through all my photos for string inspiration!